A search is underway for a Gazpromavia Mi-8 helicopter in the Altai Republic in Russia’s Far East, after it failed to make radio contact on Friday. There are 10 people onboard. It had previously been reported that there were 13 people onboard. “At 11.00 am Moscow time we lost radio contact with the Mi-8 helicopter. According to the latest information, 10 people were onboard the helicopter, which is owned by Gazpromavia airlines – three crew members and seven passengers,” said a spokesperson for the Ministry of Emergency Situations. 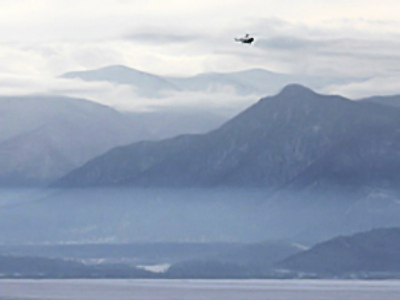 Contact with the helicopter was lost at 2 pm local time (8 am GMT) on January 9. An AN-2 aircraft has been dispatched to search for the missing helicopter, but no results have been reported yet.